What does a Wooden Spoon, a Hair Dryer and a PVC pipe has in common. Yes you guessed it - Aquaponics. 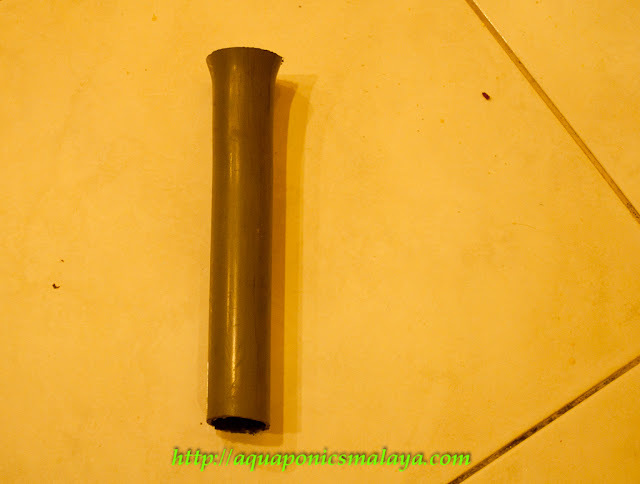 This is my first attempt of making a Flared Funnel for the stand pipe. Many people can't get the reducer that I normally use on my stand pipe. I figured out that if I can use a 25/20 or 32/25 reducer on my 20 mm and 25 mm siphon respectively then it should not be a problem to just flare the 20 or 25 mm pipe and make a funnel on the end. So my first attempt, using a hair dryer and a wooden spoon I tried to formed 20 mm PVC into a funnel shape stand pipe. The wooden spoon has the tapered shaped but its flat, making it difficult to get the correct contour. What's needed is a conical wooden mandrel forcing it to shape once heated. Its a trial and I think it can be done. 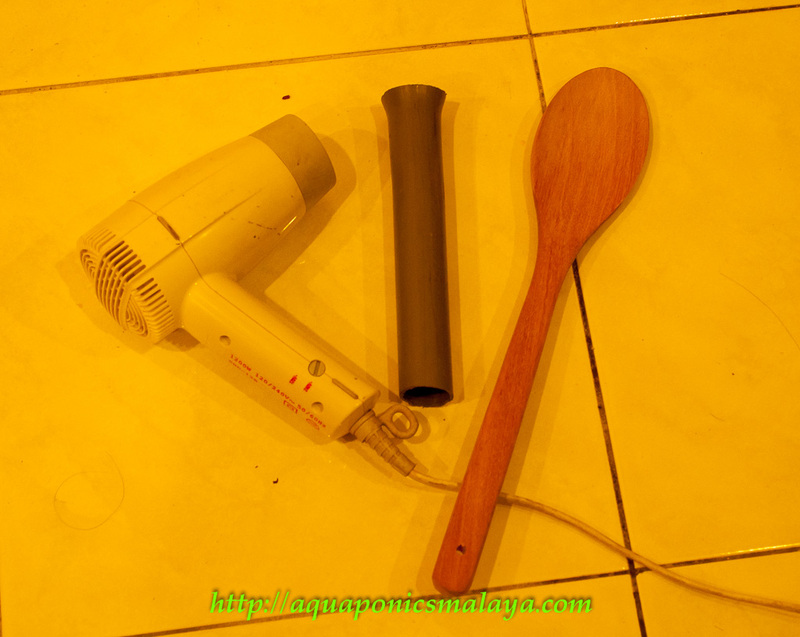 PVC when heated with hair dryer it get soft, I only have few seconds to work on it before it turn hard again. However just reheat it back and it turn soft again no big deal. Its easy enough to do and don't need an army to do it. Simple illustration below on how to get it done. In theory this is how it has to be done and I will to test it out. But before that, I must get a wooden mandrel made. I think with a thicker wall pipe you can stretch it further. 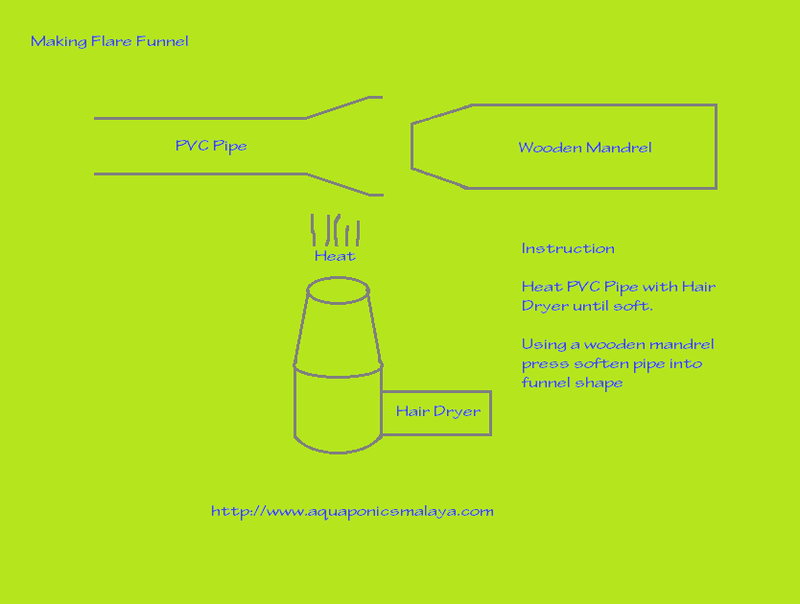 Flaring the tube will smoothen out the waterflow, making it flow linearly/laminar. But if I remember correctly, turbulent flow will provide the greatest flowrate, of course these rules abide several limits. Goodluck, keep us posted!